Transaction parties are often looking for options to save due diligence costs or expedite delivery of reports to get projects to closing. Regarding surveys, assumptions are frequently made that a surveyor should be able to add another party to the certification or update an existing survey without expending a lot of time or additional cost. In the majority of instances, this is not the case. When considering an update or recertification, the most important factor is the age of the existing survey. The date of survey can impact what may be an acceptable document for the Lender and/or the Title Company as well as determine what “updates” the surveyor is willing to provide. In the case of a recertification, it is important to remember that the surveyor is being asked to extend liability to additional parties that were not involved when the survey was initially performed. 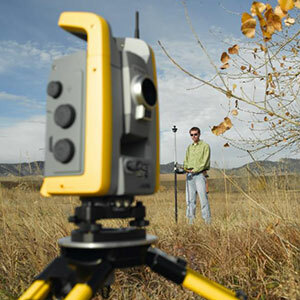 Whether the surveyor is able or comfortable to make changes may be dictated by state statutes for the practice of land surveying or by their professional liability insurance carrier. With a recertification (adding additional parties to the certification) the date of field work and date of survey will not change. Therefore, the surveyor may object to the request for any changes, no matter how minor, without performing additional field work. A surveyor is a licensed, registered professional and if they feel that what is being asked may jeopardize their license or their professional standards, they have the right to refuse the request. The scope of services provided when an update to survey is requested can vary greatly depending on the date of the existing survey. 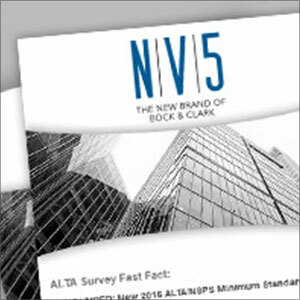 If the existing survey was NOT performed to the most current ALTA/NSPS Minimum Standard Detail Requirements (2016), the surveyor must reconcile it to those standards. Field work has to be performed to verify any changes to the property or to adjoining properties that may cause encroachments. Typically, the title work is updated, and the surveyor has to revise the survey accordingly. The cost of an update can vary based upon the complexity of the revisions and additional work resulting in what essentially may become a new survey rather than an update. The requesting party may advise the surveyor that there have been no changes to the property since the last survey was performed, but the surveyor will still have to verify this by field work before extending their liability thus incurring cost and use of time. In some cases where the work required to “update” a survey is extensive, it may be beneficial to seek quotes from other surveyors in addition to the prior surveyor. Before requesting an update or recertification, transaction parties should define the scope of work based upon the date of the existing survey. If a new date of survey is needed, an update to the survey will be needed. Will the surveyor be required to address new or updated title work? If so, this too would require an update. If the survey requirements or Optional Table A items are different than those addressed on the previous survey, an update to the new scope of services is needed and simple edits will not suffice. Consideration on the side of the requesting party as well as the surveyor must be taken when recertifications or updates are in question. New Year, New Zoning Report: Update or New? Occasionally a client will supply a zoning report and ask to have it updated. This can be done in two different versions but doing so comes with some conditions. A fully updated report will include new municipal documents, violations report, certify-to parties, etc. and can be completed at a discounted price. However, if the fully updated report does not align with what is needed, we can offer a less expensive “Zoning Update Letter” instead. A Zoning Update Letter is simply a letter that adds any updated certify-to parties and verifies that no changes have been disclosed to affect the current zoning district, code requirements or violation status as noted in the original report. The update letter is cheaper and quicker but doesn’t make any changes to the report or supply any new documents. In order for us as the provider to make the updates there are some conditions that must be met. First, was it an NV5/Bock & Clark report? We are only permitted to update our own reports. Second, is the supplier of the existing report the original client for that report or was it certified to them? If the answer is “no” to both questions, we must first get permission from the original client to make any changes to the report, including updates. Finally, how old is the original report? Updates cannot be provided if the report date is more than one year old due to the ever-changing circumstances in and around city or county government. Municipalities may update maps, amend codes, inspect for new zoning, building and fire code violations, add an overlay, issue new CO’s, approve variances or special permits, and a variety of other scenarios. While these changes can occur at any time, the odds are better for having no significant changes within 6 months to a year of the original report date. Commercial real estate transactions rely on the most up-to-date zoning information from verifiable sources. If update options aren’t feasible it is often better to request a new report. If you have a prior zoning report and are not sure about the best option for your pending transaction, contact us and we’ll be happy to discuss a solution that works. Jeff Echko has been named the President, Environmental, Health & Safety (EHS) for NV5. Previously, Mr. Echko held the position of President of Bock & Clark Corporation. In his new role he will oversee the Bock & Clark and Dade Moeller groups of NV5. Jim Brown, Director of Business Development, will be attending the MBA/CREF Conference in San Diego Feb 10-12. Laura Hengle will be attending the CREW Network Leadership Summit in New Orleans Feb. 14-15 as the Vice Chair of CREW Network Foundation. Dave Brewer will be attending the NIC Spring Investment Forum in San Diego Feb 20-22. NV5/Bock & Clark is pleased to again be a Friend level sponsor of the WIN Partners 5th Annual Impact Party supporting Camp Win, a holiday and summer camp program for homeless children living in Win shelters.